Connor for being a good sportsmanship and encouraging his teammates during activities. 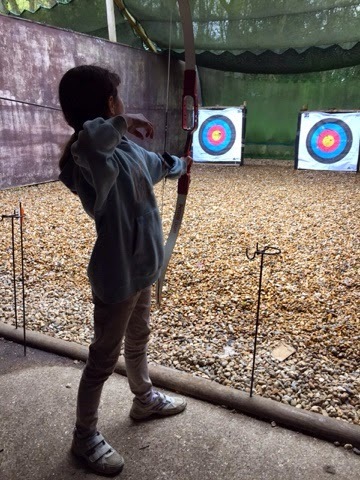 Miss Stephens was impressed with Catherine for her excellent archery skills. 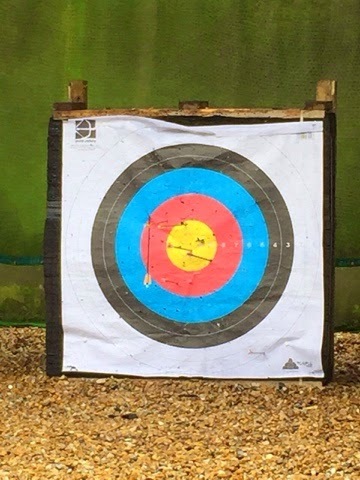 She managed to hit Gold quite a few times! Go Catherine!! Mrs Fewell and Mr Moores thought that Adam was great at supporting all the other children and adults in his group and was very helpful polite! 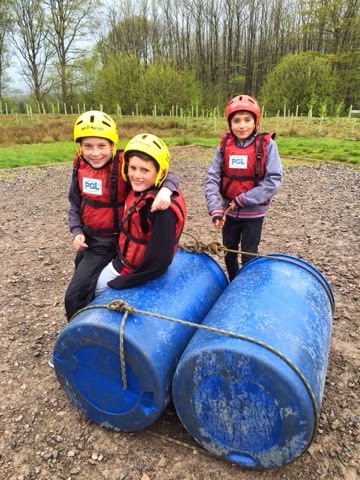 Mrs Harrison and Mr Perry choose Dylan as he overcame his fears and Zack for supporting everyone in his group! 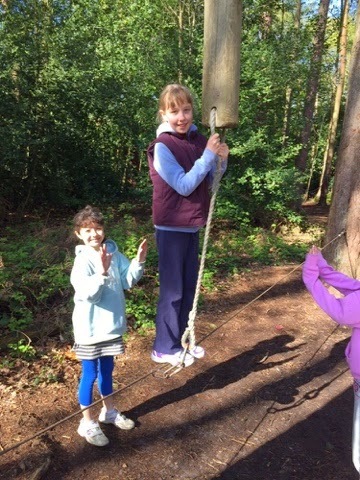 Mr Keeble was really pleased with Maisie for being so brave and leading the way for her team in the zip wire activity. 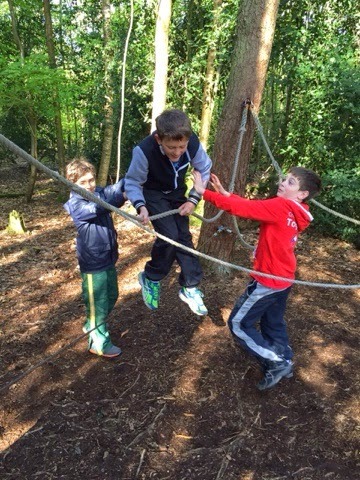 What better way to start a sunny Thursday morning than a session on the low ropes. A good night's sleep was had by all! Had a jammed packed day and the kids learnt so much today. Busy day! Having the best time ever!! Morning everyone...wow the adults have had so much sleep because the children have been fantastic during the night time! There's a little bit of rain this morning but that wont stop us! Sad to be taking part in the last activity of our trip. See you all in a few hours! Up early for a cooked brekkie. 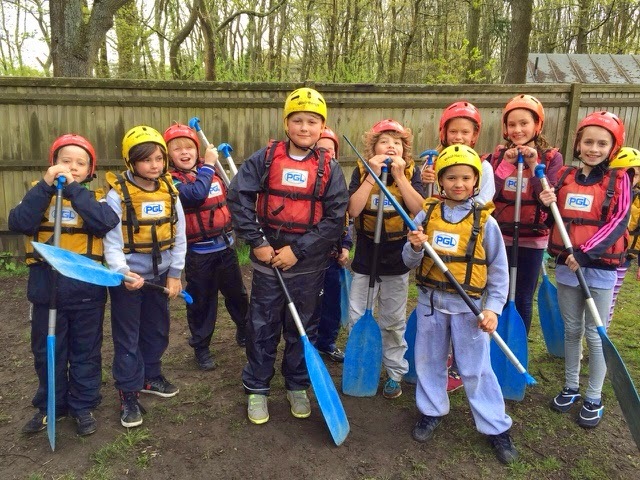 Now busy planning how to build our rafts! Food has been awesome - fish fingers, chilli, curry and chips! Some children said it was better food than at home!! Followed by a happy birthday sing along for Connor. Happy birthday Connor and thanks for the cakes/ sweets!! 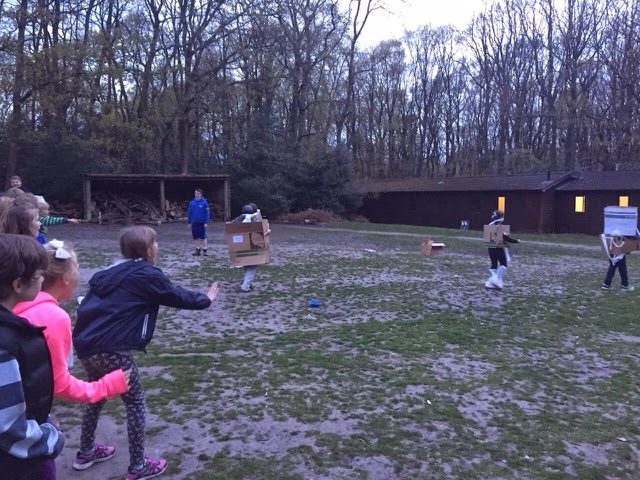 Evening activities have been so much fun. 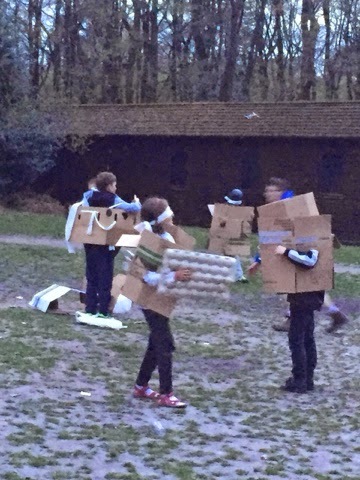 We made robot costumes out of cardboard boxes for someone in our group then blind folded them and had to shout instructions to them. Great fun! 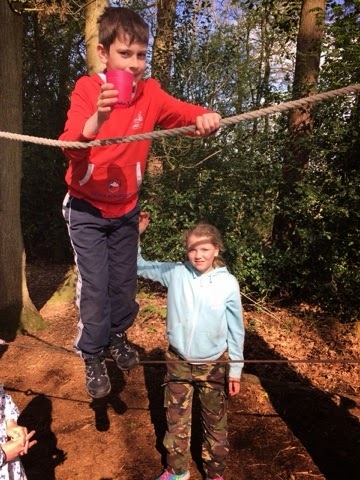 The children have had a great day learning how to rock climb, make fires and working as team players! 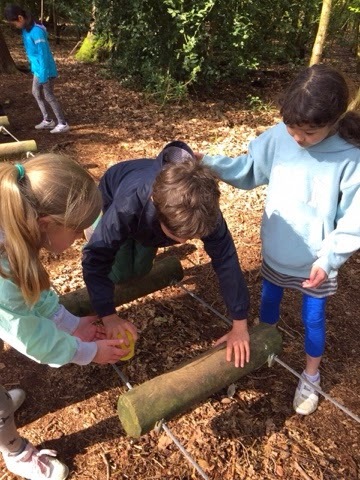 We're all very proud of the behaviour, enthusiasm and perseverance of the children to complete challenging activities. The children are all in bed awaiting their last big breakfast and final morning activity tomorrow. (Sorry for lack of photos very little signal here to send anything). We all had a fantastic night's sleep last night (including the adults!). Breakfast was delicious and everyone ate too much ....it was a cooked breakfast though!! Morning activities are now completed and we are tucking into a well earned lunch before the afternoon begins! Great dinner and a fun evening. Children are all in bed looking forward to another fun filled day tomorrow. 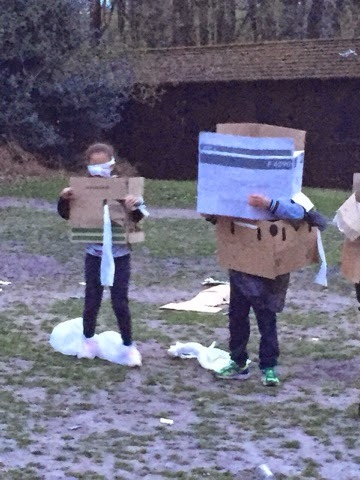 Sorry, this has only just come through - I know they are having a great time! 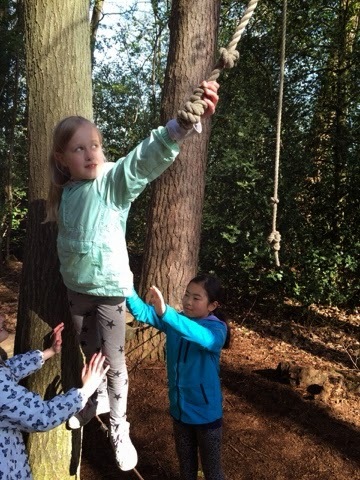 Hello everyone, year 4 here reporting from High Ashurst. 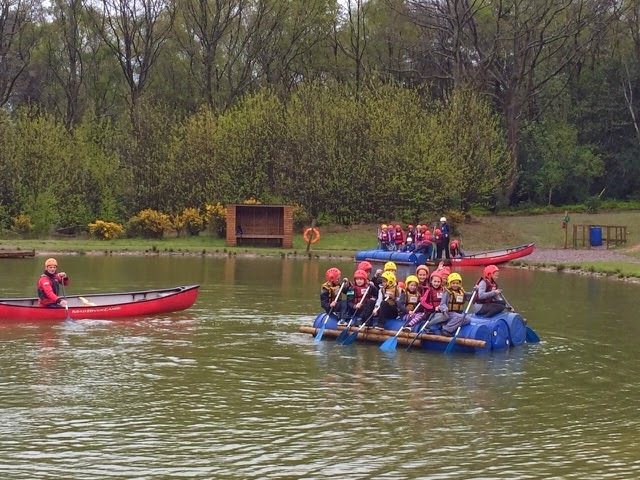 We arrived safely and are already underway on our first activities....challenge course and High ropes. 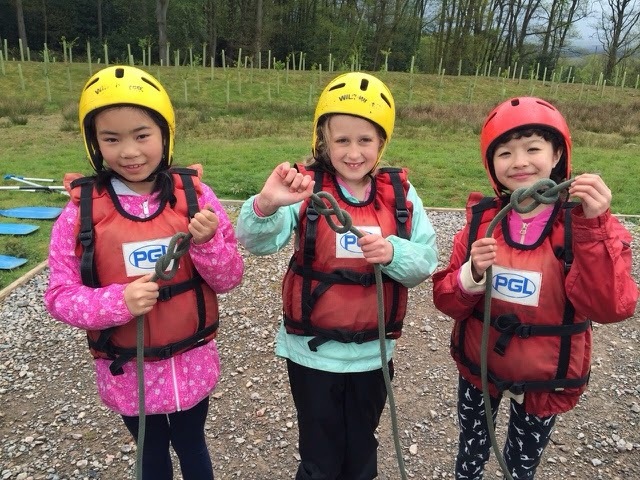 Having a great time, smiles all round! Congratulations to this week's 'Stars'! And to Jessica from Finches! As we speak, we have two Girls Teams playing at and against Boxgrove. Good luck girls - Come on Bushy!! Many congratulations to Holly Mills for competing in the International Judging section of ice-skating. Not only was she selected, but she came 5th out of 15 yesterday. An excellent achievement! and to Jessica in Year 5. This is my first ever blog!!! I hope to be able to keep you updated through the blog throughout this term. Look out for all our exciting news! It was lovely to welcome all the children back to school today and see their smiling faces. And what wonderful weather! The children loved playing on the field at lunchtime! 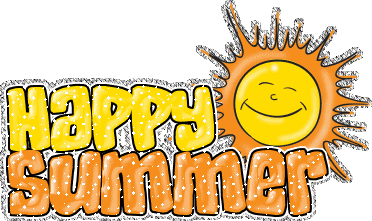 Our value this term is 'Happiness' and we look forward to many more happy times this term!